When Kuririn is killed by a lizard-like monster, Goku goes in search of the culprit and finds his most terrifying enemy yet: the evil Demon King Piccolo! 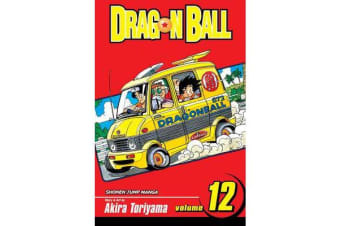 Freed after centuries of imprisonment, Piccolo sends waves of monsters on a mission to find the Dragon Balls and destroy any martial artists who might oppose him. With his flying cloud destroyed, Goku finds himself lost in the jungle where he meets an unlikely new ally. Meanwhile, Kame-Sen’nin prepares a last-ditch plan to defeat Piccolo… but at what cost?